How to pack everything you need for a multi-day kayaking adventure! Packing a kayak for camping can be daunting. 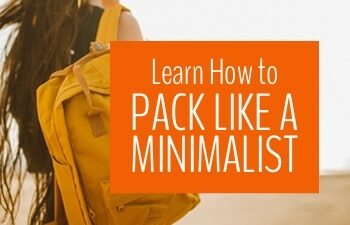 There is so much stuff you have to bring and so little — oddly shaped — space to pack it in. Here’s our guide to what to bring kayaking and how to pack it! We prepped for weeks for our five-day, four-night adventure in the Broken Group Islands in Canada. My brother’s family, who came with us, prepped for months. The whole group had entire rooms in our homes dedicated to kayak packing and the kayaking gear piled up as the weeks went by. 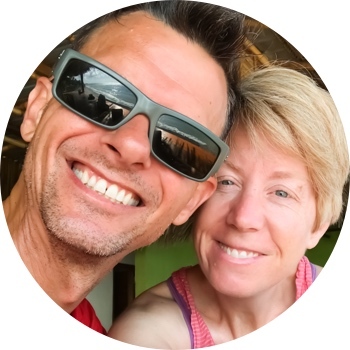 To add to the complexity, in the Broken Group, there is no running water, so you need to add all your drinking, cooking, and hair-washing water to your kayaking packing list. Because I love lists, I put together this kayak trip packing list of everything we took in our kayaks. I hope it will make it easier when it’s your turn to decide what to bring kayaking! 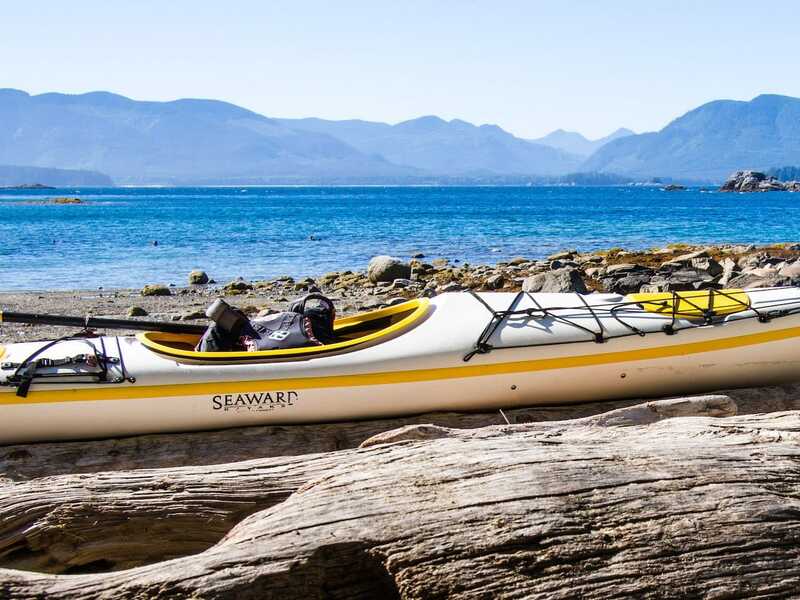 Packing a kayak for camping is tricky because, though a sea kayak holds quite a lot, the hatches are relatively small. That means you need to have lots of small, waterproof bags that can easily squeeze inside the hatches! It’s also tough to estimate how much gear you can fit in all those tiny bags. In my experience, more can be crammed in than you might expect. You can do a lot with ziplock bags, too, so you don’t need to invest in a bunch of expensive dry bags unless you’re planning on packing a kayak for camping more than once. These are the bags we used to pack all our gear for two people. Of course you’ll have your own list of personal items you need to bring kayaking. Don’t forget any medication you need to take, extra contact lenses, and ladies sanitary items. For this kind of adventure travel, I swear by the Diva Cup but it takes a little practice to get used to it. So get it a few months early if you want to use it! 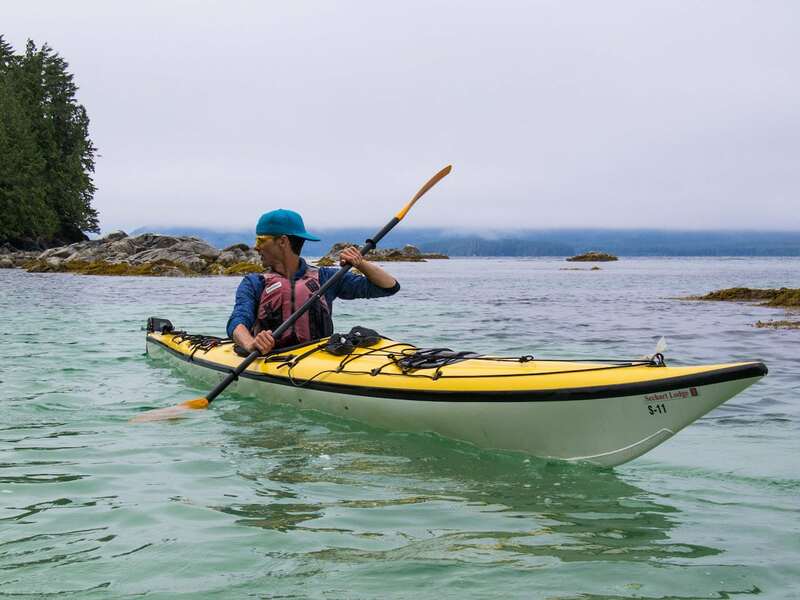 Since the weather can be unpredictable when you’re kayaking, and it’s almost always cool in the evenings when camping — especially on Vancouver Island’s West Coast — it’s hard to know exactly what clothes to bring kayaking. The answer is to bring lots of layers and hope it never gets cold enough that you need to wear them all at once! This list is for one person, we each brought all of these items. That is, I brought 4 t-shirts and so did Stephen. Except, Stephen didn’t bring any sports bras :). We used the same camping gear as we took on our 2-year round the world bicycle trip. We love it and it’s still going strong through all our adventures! Aside from the kayak camping gear, the camp kitchen (plus food) takes up the most space. 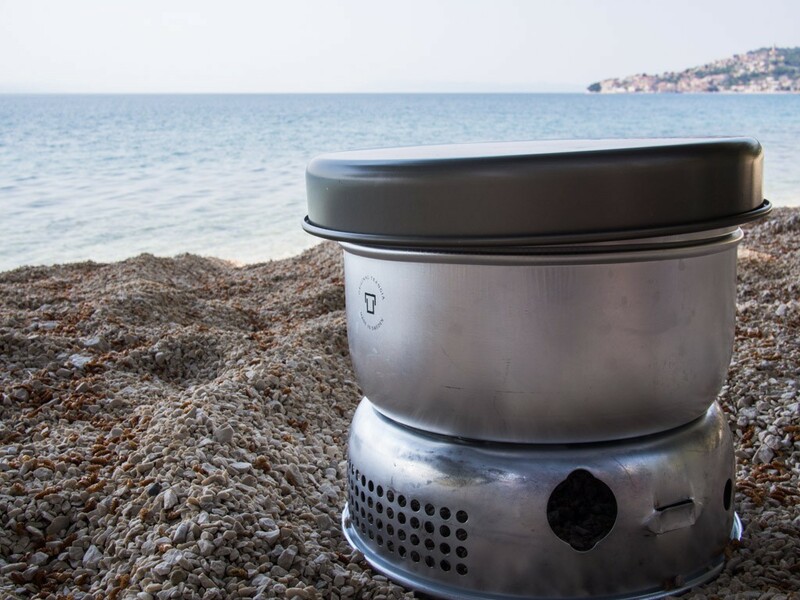 When we were on our cycling trip we refined our camping kitchen so that we were carrying enough gear to make amazing meals, but not so much that we were overly weighed down by our kitchen. When it came to packing a kayak for camping, we were happy that we had done the trimming down already! We’ll get paid a little something if you use many of the links above at no extra cost to you. We would never recommend products we don’t already love, so you’re in good hands! It really helps us keep this blog afloat (pun totally intended! ).